Dr. Kristine Ho is an Adjunct Assistant Professor in the Master of Arts in Teaching program at the USC Rossier School of Education, focusing on Math methods for elementary and secondary candidates. She is also an expert in Cognitively Guided Instruction providing training and support in schools around Los Angeles. Dr. Kristine Ho has focused her past research and current work around teacher professional development. She continues to work with schools around Los Angeles to develop teacher collaboration as they adjust to Common Core Standards. Prior to this position, Dr. Ho served in the Teacher Education Program at the University of California, Los Angeles as a Supervisor for Secondary Mathematics Candidates. Concurrently, she conducted trainings and support for Cognitively Guided Instruction for various school districts in Orange County and Los Angeles. Prior to her work at UCLA, Dr. Ho was a secondary Mathematics teacher in Centinela Valley Unified School District. 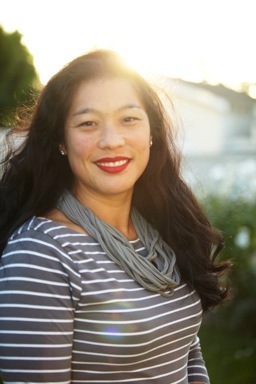 Dr. Kristine Ho received her PhD in Urban Schooling as DiME (Diversity in Math Education) Fellow from the University of California, Los Angeles, her MEd from the University of California, Los Angeles, and her BA in Mathematics and BA in Linguistics from the University of Washington.